An original formula and a constant commitment have made Ars in Fabula Master an avant-garde course in the international sphere in the artistic and professional training for the publishing. In recent years the Master has given many results with several dozen of published books; a success also confirmed by the continuation of all partnerships between our graduates and their publishers after their debut book. With a hint of pride we like saying that ... our history is written in your books. It was 1843 when Hans Christian Andersen wrote one of his most famous stories: “The Ugly Duckling”. 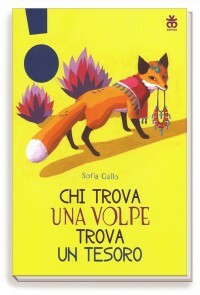 Today this story about growth and emancipation is narrated once more by the bright tables of the Master graduate Veronica Ruffato in her first book published by the publishing house ZOOlibri. 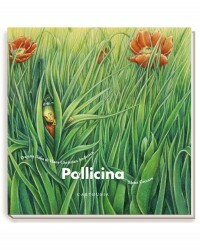 “Pollicina” is one of the first fairy tales written by Hans Christian Andersen in the distant 1835. The adventures of the little child, as tall as a thumb, are today renarrated by the tables of the Master graduate Elena Ceccato in her first book, published by the publishing house Carthusia. 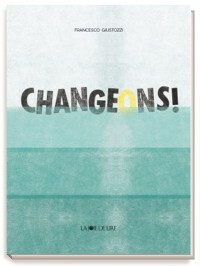 “Un livre qui ouvre la porte des questions” or, in italian, “Un libro che apre la porta delle domande” are among the few words that appear in the silent book by Francesco Giustozzi, published in 2017 by the French publishing house La Joie de Lire. Previously published in 2005 in the collection “Nazar il prode e altre fiabe armene”, this fairy tale lights up in a new edition published by Sinnos, thanks to the colourful illustrations of the Master student Teresa Manferrari. 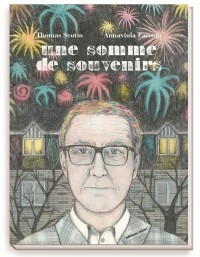 An old english man, during a market of secondhand goods, decides to sell the most unusual good of all: his memories.Published in 2017 by the french publishing house Éditions Notari and written by Thomas Scotto, it is the first illustrated book by the Master graduate Annaviola Faresin. 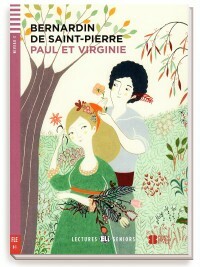 A classic of the international literature, this novel by Jacques-Henri Bernardin de Saint-Pierre was written in 1787. Today Eli, a publishing house specialised in teaching foreign languages offers a new edition adapted to didactics, enriched by the delicate illustrations made by the Master graduate Pia Taccone. 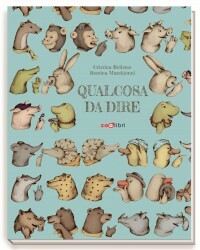 "Qualcosa da dire" is the book project of the Master student Romina Marchionni, based on the texts of the writer Cristina Bellemo and published by ZooLibri. 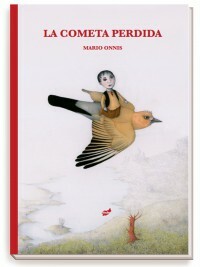 In this book, the authors accompany us in a forest full of talking animals, some of them even speaking ill.
Latest publication 2017 of the spanish publishing house Thule, “La cometa perdida” (in italian “L'aquilone perduto”) is written and illustrated by the Master graduate Mario Onnis. Giulia decides to spend the summer holidays with her grandfather. The arrogance of a local bully is the right occasion for the old relative to tell his granddaughter a fact of his life as a young partisan. 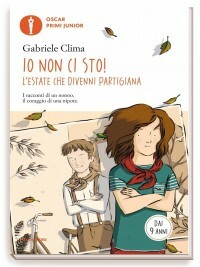 “Io non ci sto!” is written by Gabriele Clima, expert of narrative for young people, illustrated by our Master graduate Arianna Operamolla and edited by Mondadori in the series Oscar Primi Junior. 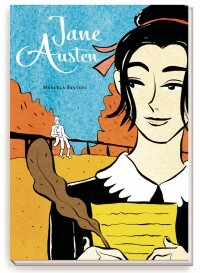 Inspired by the life of one of the most prolific writers of her age, “Jane Austen” is a graphic novel written and illustrated by the Master graduate Manuela Santoni and published in 2017 by the publishing house Becco Giallo, involved since his foundation in the distribution of social comics. 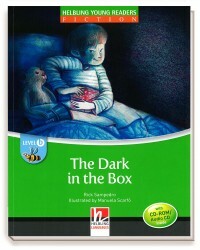 "The Dark In The Box", edited by Helbling Languages, is an English-language educational book, a master thesis project by Manuela Scarfò, author of the illustrations. The writer Giusi Quarenghi and the illustrator Anais Tonelli are the authors of this modern Psalms collection, dedicated to the ears and eyes of young people. 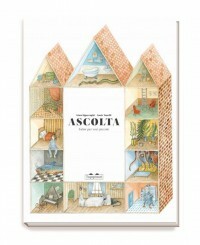 Published by the publishing house Topipittori, specialised from his foundation in 2004 in books for children and young people, “Ascolta. 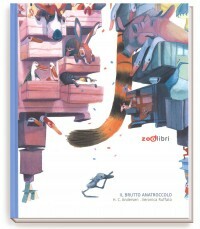 Salmi per voci piccole” is the first publication of the Master graduate Anais Tonelli. 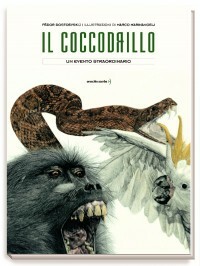 Published for the first time in 1865 in the magazine Epoch, “Il coccodrillo” is a grotesque short story written by the russian writer Fëdor Dostoevskij. Reproposed today by the prestigious publishing house Orecchio Acerbo, it has been brought back to light with the flawless illustrations by the Master graduate Marco Marinangeli. 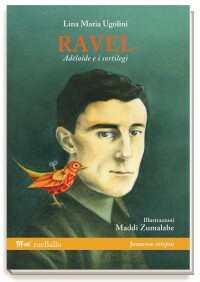 "Ravel, Adélaïde e I sortilegi" is the fantastic biography of the years in the military of the famous composer, recounted by writer Lina Maria Ugolini and illustrated by Master graduate Maddi Zumalabe. 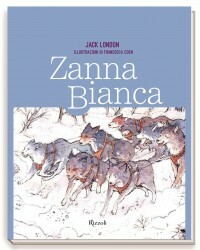 Zanna Bianca by Jack London, new publication at the Bologna Children's Book Fair 2016 for the publisher Rizzoli, one of the great classics of adventure literature illustrated by Francesca Coen for her thesis.